Starbucks announced changes to its Rewards loyalty program on Tuesday that the coffee-maker says will give members more flexibility when it comes to redeeming points. 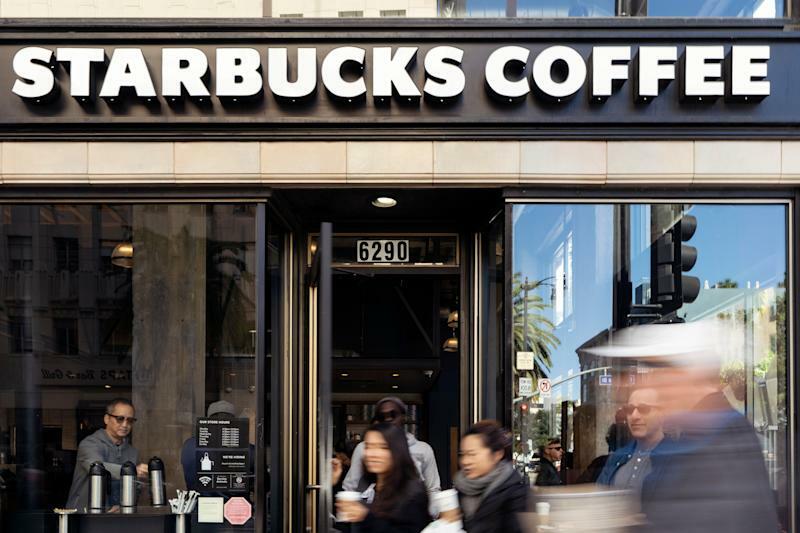 While the way customers collect points – or in this case, “Stars” – won’t be changing drastically, the way customers can redeem their points at Starbucks will be different. The changes, which will go into effect April 16, include a new tiered rewards structure which will allow loyalty program members to redeem different items for a certain number of points. For example, for 25 Stars, customers will be able to add an extra espresso shot or dairy substitute. For 400 Stars, they can get select merchandise or a bag of coffee beans. Under the current points system, Rewards members were able to to get a free drink or food item for every 125 points collected. 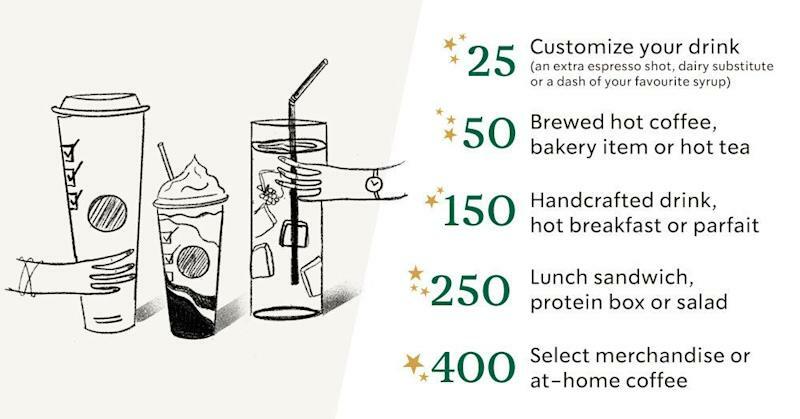 Customers earn 2 stars for every $1 spent at the popular coffee chain. “We’re giving our customers more of what they’ve been asking for,” Peter Furnish, Starbucks Canada’s vice-president of marketing said in a statement. Starbucks will introduce a new tiered Rewards structure in April. Starbucks is also scrapping its two distinct rewards levels – green and gold – allowing every customer that joins to immediately be able to earn and redeem points. Before, green-level members had to acquire 300 stars before they were able to earn rewards. The changes come three years after the last major revamp to the Starbucks Rewards loyalty program, which brought ire from some customers who were disgruntled at the changes, which rewarded higher-spending customers. Customers had previously earned a star per visit, regardless of how much money they had spent. Starbucks said membership in the program in Canada has grown 25 per cent over the last two years. Purchases using the rewards program accounted for 35 per cent of transactions at Canadian stores in 2018.